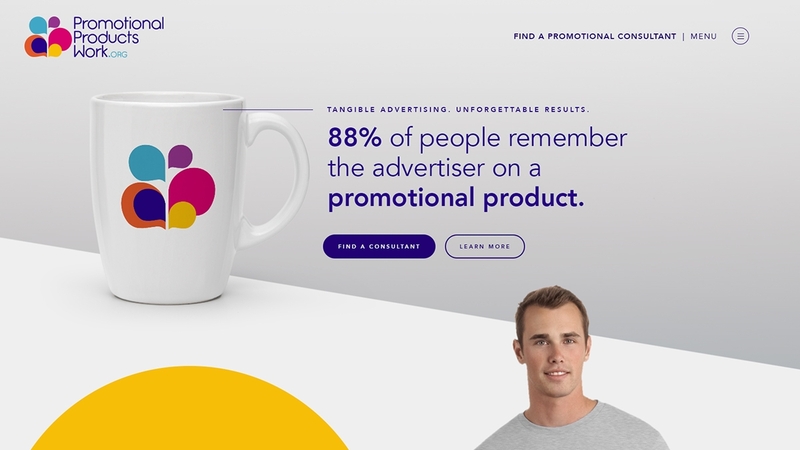 Promotional Products Work, a division of Promotional Products Association International, needs to establish their own branding and user experience. Promotional products are an incredibly powerful marketing tool since they allow a brand to connect with consumers by engaging their senses. As one of the only forms of advertising that allows consumers to interact with a brand on a physical level, promotional products often create a more memorable brand experience. Our main goal was to create a site that felt like engaging with a promotional product - light, fun, and interesting. To invoke the fun and lightness of promotional products, we decided to focus on imagery, vibrant colors, and animation. The most important factor was to establish a balance between an exciting interface without looking juvenile. We kept this in mind while creating a lasting brand presence and user experience.